“Google Summer of Code” or GSOC is an annual opportunity given by Google, to students across the globe to become contributors in the open source community by undertaking such projects during the Summer holidays. Sri Lanka, more specifically the University of Moratuwa has always been able to complete a high number of such projects in relation to other countries. 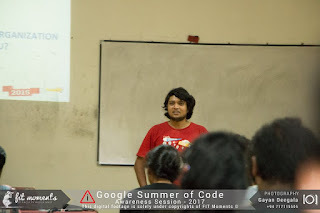 Google Summer of Code Awareness Session is an annual event organized by INTECS targeted towards the students of the Faculty of Information Technology. 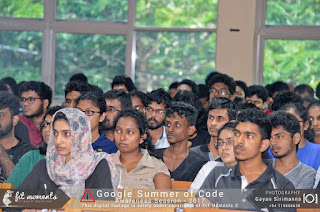 This year the session was opened to all other universities in the island and saw the participation of over 120+ students both from the faculty and from outside. 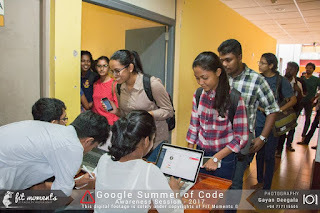 This was a highlight for the University of Moratuwa as this was the first event of it’s kind to open its doors to the students from other universities. 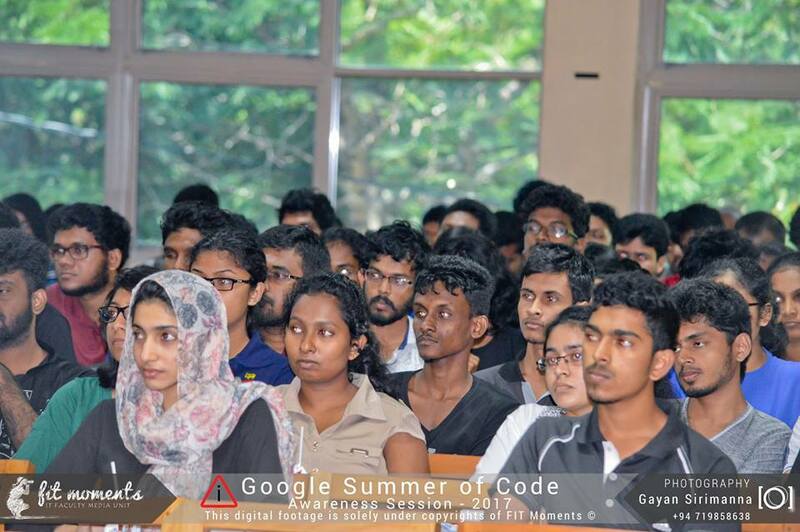 The event saw 4 sessions conducted by, Akshika Wijesundara, Malintha Fernando, Malith Jayaweera and Ramindu Deshapriya. 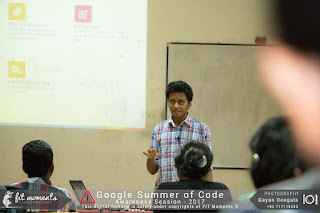 Akshika, having being Sri Lanka’s Google Ambassador in 2015 started the session by giving an introduction to what GSOC is and what the program is about. 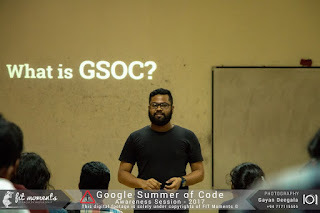 Malintha, who completed a GSOC project a few years back with Mozilla gave an insight into how the initial contact should be between the company and the student. 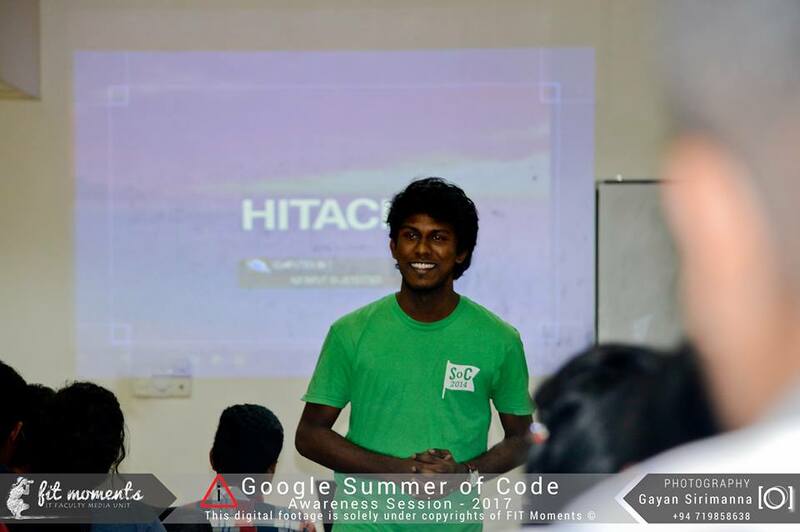 Malith, being the person with the most recent experience in completing a GSOC project went on to speak about the challenges that a student would face and how to overcome them during the period of the project. 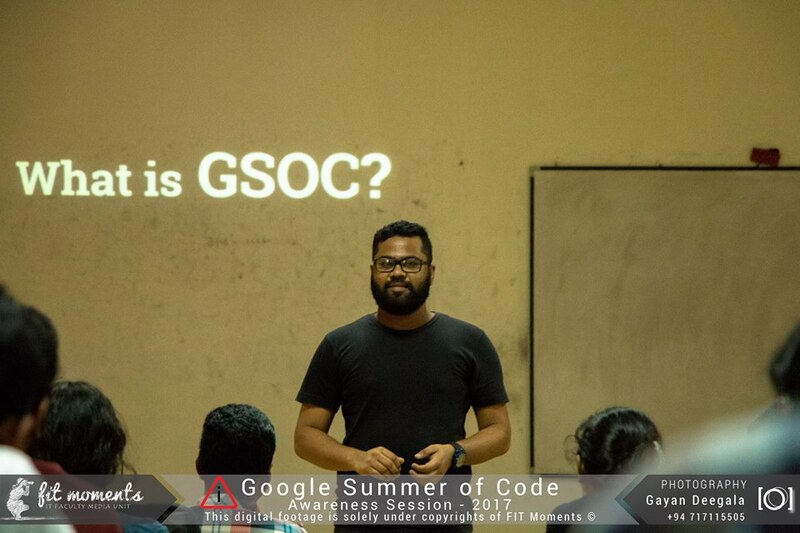 Ramindu, the most experienced of the lot who has been a GSOC mentor as well as an admin shared his experience on what mentor organizations expect from a GSOC intern. 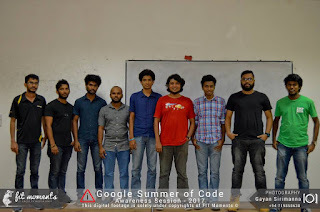 The event was indeed a very successful and fruitful one, understood by the feedback of the participants and the enthusiasm seen in them as a result of the awareness session. 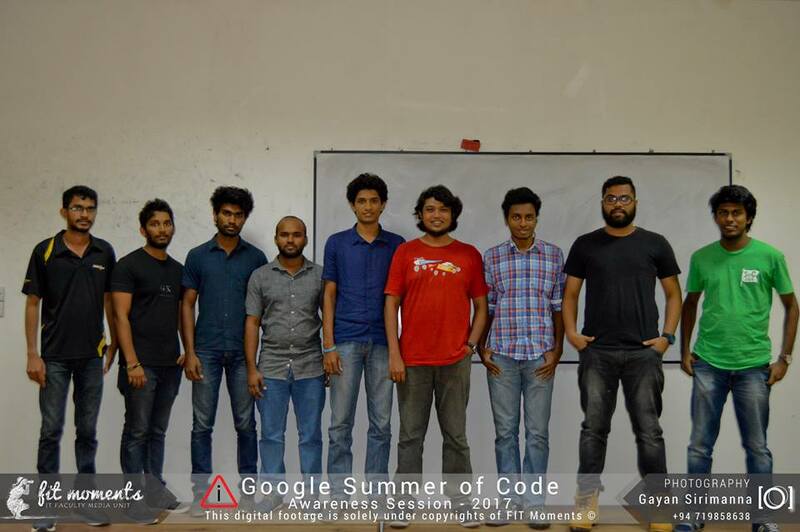 Our sincere gratitude goes to the academic and non-academic staff of the Faculty of Information Technology, for their guidance and assistance without which the event would not have been successful.